Joining from Ashurst in 2012, DLA Piper’s Les Koltai has been instrumental in realigning the firm’s real estate practice in Australia, after being quickly promoted to head the group. Koltai has used his expertise in crossborder real estate transactions to transform and expand the nature of the firm’s client base, which now includes well-known global REITs, private equity groups, asset managers and pension funds including The Blackstone Group, The Carlyle Group, Mapletree REIT and SEB Bank. 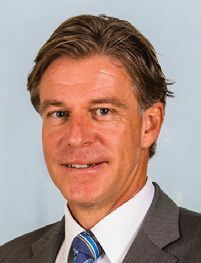 He has also managed to boost domestic traction, adding clients such as Mirvac Group, Investa Property Group, Charter Hall and Abacus Property Group. As a result, Koltai has ensured the firm is being pitted against traditional ‘tier 1’ players on deals of greater size and complexity, with large portfolio instructions valued from $100m to $1bn. Koltai is also proving an asset to the firm’s corporate, finance and tax groups, managing to personally represent 60% of all referrals to those groups.